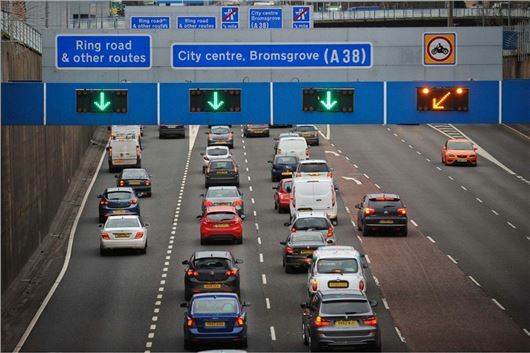 Driver assistance features such as adaptive cruise control and lane assist are dangerously confusing British motorists, according to new research. The study, commissioned by Thatcham Research and NCAP, found that more than half (52 per cent) of UK drivers believe they would not be held liable if they were involved in a crash when using assisted driving systems. The survey polled 250 British car owners and discovered that an alarming amount admitted that they'd be tempted to break the law while using such functions, with 18 per cent being prepared to send a text message. One in 10 per said they'd make a hand-held call while a shocking seven per cent admitted they'd consider taking a brief nap. To coincide with the report, Euro NCAP has today released assessments of the assistance technologies in 10 new cars: the Audi A6, BMW 5 Series, DS 7 Crossback, Ford Focus, Hyundai NEXO, Mercedes-Benz C-Class, Nissan LEAF, Tesla Model S, Toyota Corolla and the Volvo V60. It's concluded that no new car currently on sale can offer fully automated driving, with all leaving the driver entirely responsible for safe driving. These systems can, when used correctly, help to maintain a safe distance, speed and stay within lane - but should not be relied upon. Thatcham Research says offering semi-autonomous systems is a 'delicate act' for car manufacturers. "Offer too much assistance to the driver and they disengage, offer too little and the driver thinks ‘what’s the point?’ and switches the system off," said Thatcham's director of research, Matthew Avery. "The best systems are those that support the driver but leave them in no doubt that they remain in control." Driver assistance is considered by many carmakers to be the first tentative steps towards the introduction of fully autonomous vehicles; yet, research by MoneySuperMarket claims that 48 per cent of people in the UK think self-driving cars are generally a bad idea. The insurance comparison website spoke to 4000 people and found that roughly half were against the idea of a fully autonomous car roll-out, with a lack of trust in the technology (68 per cent) and a fear of not having control over the vehicle (76 per cent) being cited as the key concerns. More than half (60 per cent) of those questioned cited hacking and criminal activity as a major fear with the introduction of driverless cars, while one in 10 said it would allow the Government to track their daily movements. Tom Flack, editor-in-chief at MoneySuperMarket, commented: “Although the goal with driverless cars is to create safer roads and stress-free driving, it’s understandable that people are sceptical as full control over their vehicle will be lost. If drivers don't know the difference between autonomous and assisted then they shouldn't be allowed anywhere near a car. I am reminded of the possibly apocryphal story of the motor home driver who put the vehicle in cruise control and went back to make a cup of coffe! I suggest anyone considering autonomous cars needs to read a recent book by Hannah Fry, "Hello World: How to be Human in the Age of the Machine". The experts in AI that Professor Fry consults suggest that a genuine and safe autonomous car that could cope with all situations of traffic is decades away.